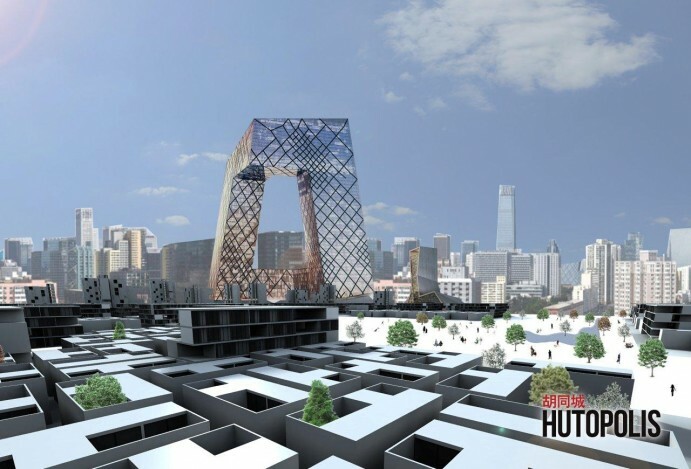 Hutopolis was based on the strength of a group of urban planners with different cultural backgrounds working together, some of them not having previous knowledge about Chinese cities. We seized upon the objectivity of foreign researchers, complemented with the knowledge of local teams, and worked to turn it into a productive exchange. This project asks the question: why try to expand outside the existing urban fabric when it already offers so many possibilities? 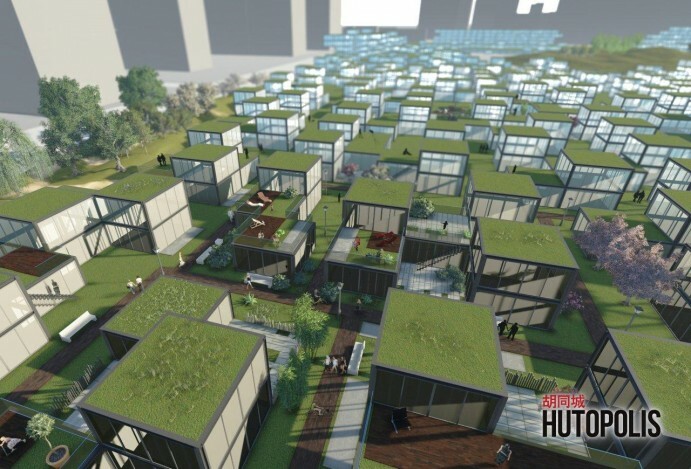 Using the human being as key parameter for regenerating the consolidated city, the built environment is shaped by the virtual city, and this project aims to develop systems and strategies to optimize the use of the space. 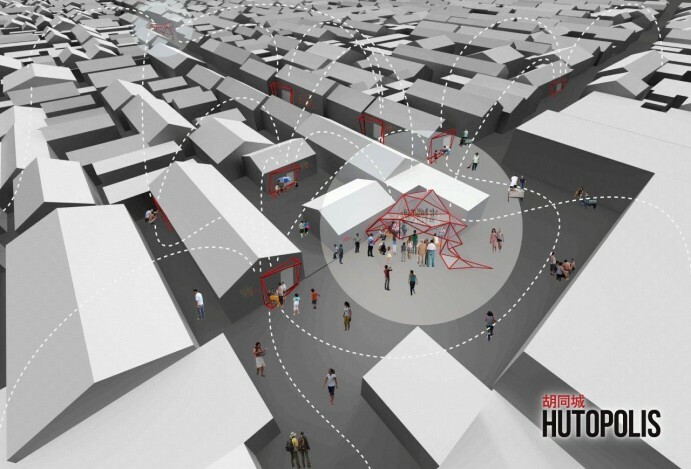 A continuous process of destruction and reconstruction lead by inhabitants characterizes the hutong. These actions are often hazardous and conceived of as temporary. 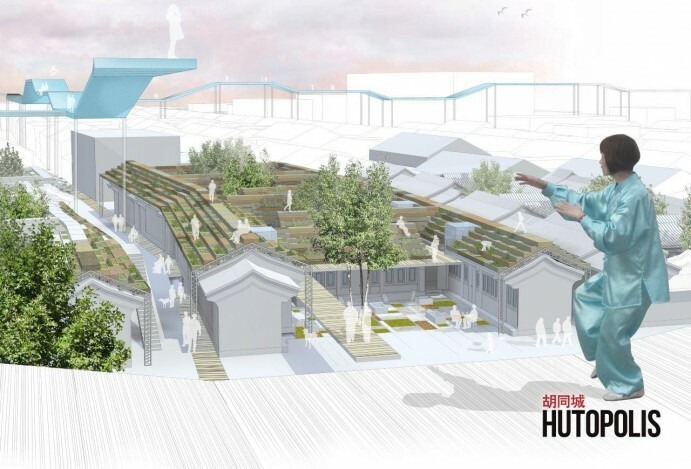 The project aims to improve this spontaneous refurbishment process suggesting innovative solutions for a self-sufficient, sustainable and integrated management of energy, matter & materials to a hutong community. 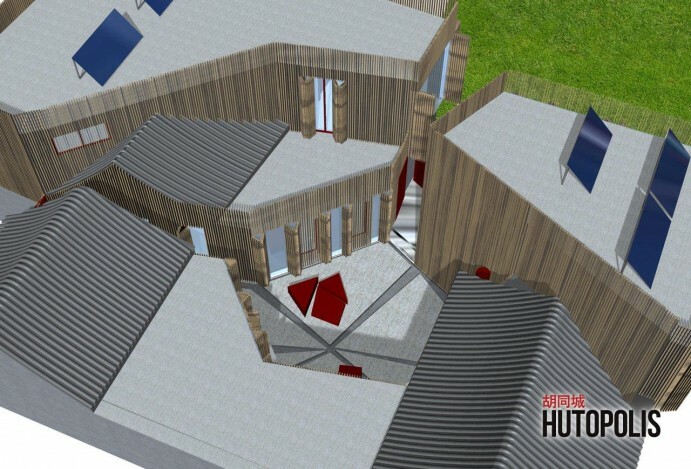 The project starts from a basic living space to define a residential module.  This versatile unit, almost like a piece of furniture, is the generative seed from which the project is conceived. 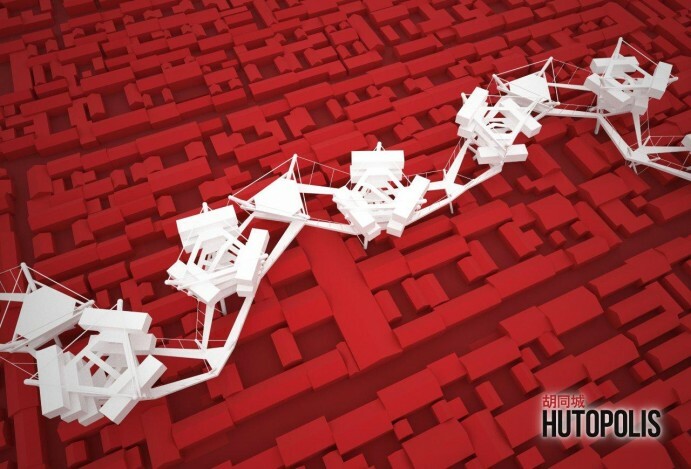 Combining several modules into bigger units at an urban scale allow the formation of blocks.  Tutors: Davide Fassi, Agnese Rebaglio, Lucilla Zanolari. Cultural Sharing is a project that promotes civic sustainability and respect for traditions connecting past and present in a dialogue between different generations. The Dashilan area in Beijing becomes, in this way, a source of inspiration for cultural, social activities seen as the main drivers of the local micro-economy. 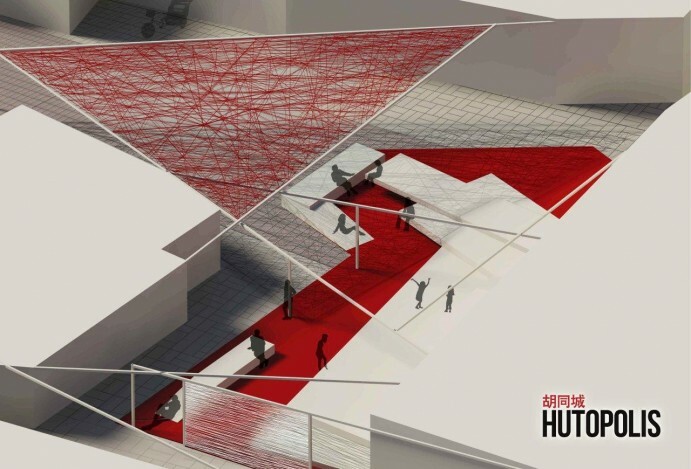 This project propose the construction of a community workshop/exhibition center in the area of the former ‘Beijing Shijingshan Electrical Relay Factory’ that will host cultural events, workshops, exhibitions to promote the local culture and economy. The project Green in Between is articulated and organized into a system of casual and informal horticultural activity. Local, small scale food production has long since been a staple of the hutong, as well as the Dashilan area of Beijing. Organizing this into a system provides added value to public space as well as a new economic activity. 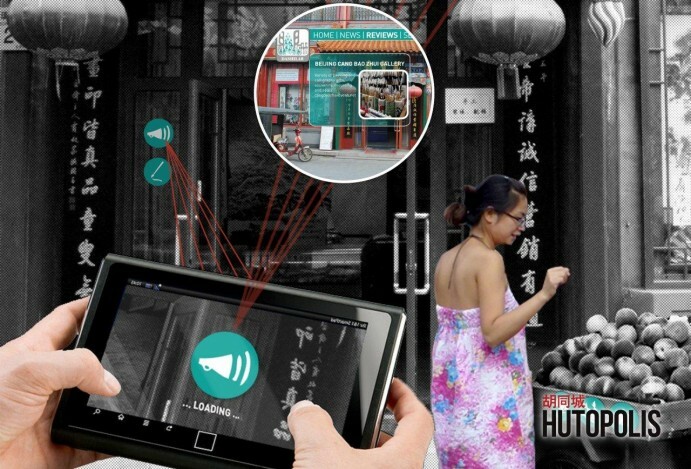 This project investigates the possibility of creating a physical/digital ‘social aggregator’ within the neighborhood of Dashilan. 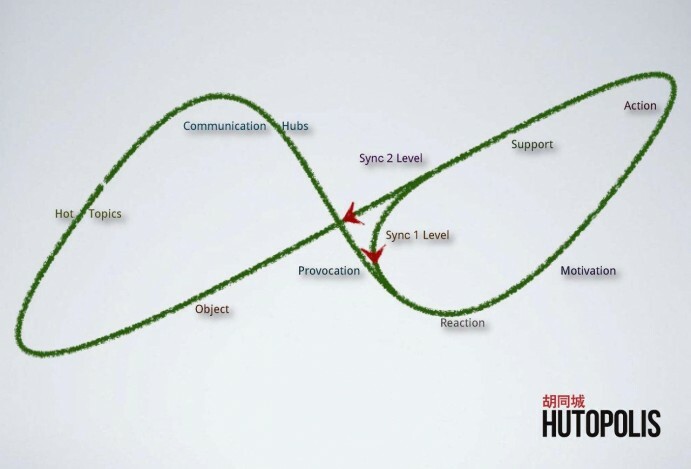 The proposal includes a system that could transform a normal way finding system into a special digital/analog experience integrating functions and tools typical of a web-based social network. The proposal re-think the public space with the needs of modern life giving a new value to the relationship between the houses, roads and public spaces. Tutors: Giannatonio Bongiorno, Eugenia Murialdo, Luis Aguirre Manso, prof. Luisa Collina, prof. Frans Vogelaar, prof. Elizabeth Sikiaridi. During summer 2012 in workshop at Moscow based "Strelka Institute for Media, Architecture and Design" we had the possibility of studying in depth these issues. 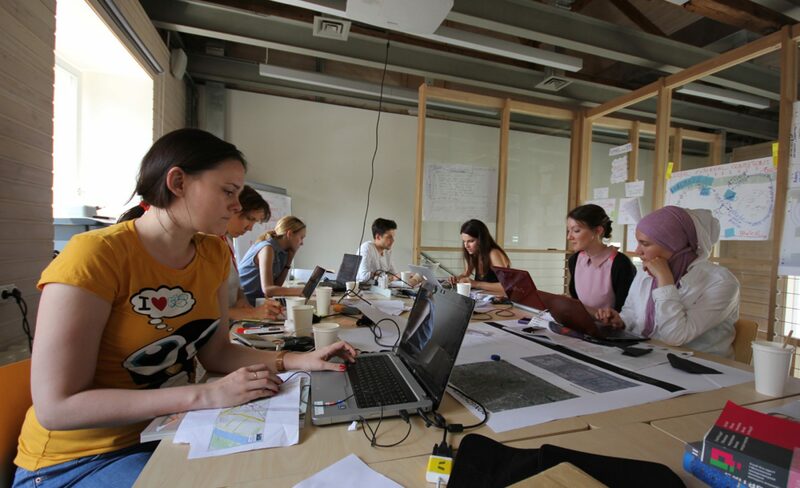 "Identities in comparison" has been a 6 days workshop in which designated sites in both Moscow and Beijing have been taken into comparison to then being subject of hypothetical interventions that focused on design and social strategies rather than urban planning or architectural solutions. 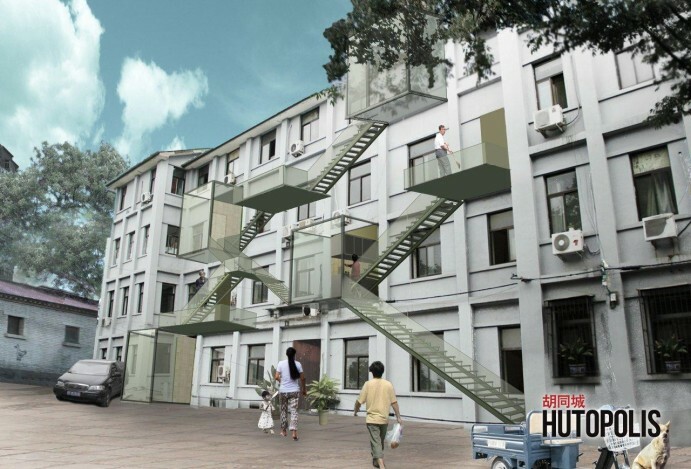 The project has been conceived around the scale of a single family, the scale of the community and of the entire neighborhood and the look for common shared areas has led to the extensive modification of buildings and urban layout in the Shichahai area around Houhai. The intervention is approached with distinctive and sustainable elements to contrast the dense and chaotic urban atmosphere.Considering an empty plot, the target is to create an integrated urban fabric able to work both on small and big scales.  The project aims at reestablishing an experimental system based on the siheyuan as a generative element of an organic architecture. 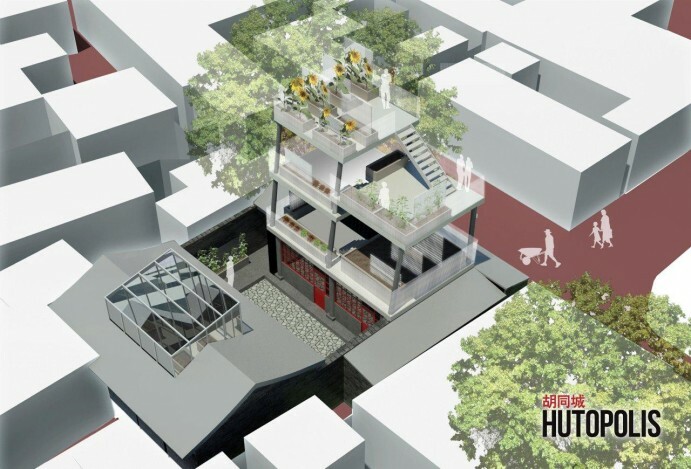 This scheme, consisting of an extra layer above the current urban fabric is made up of triangular interconnected courtyards increasing the density while connecting key circulation nodes of the neighbourhood.